For people interested in aviation photography in Australia, SHOOT! 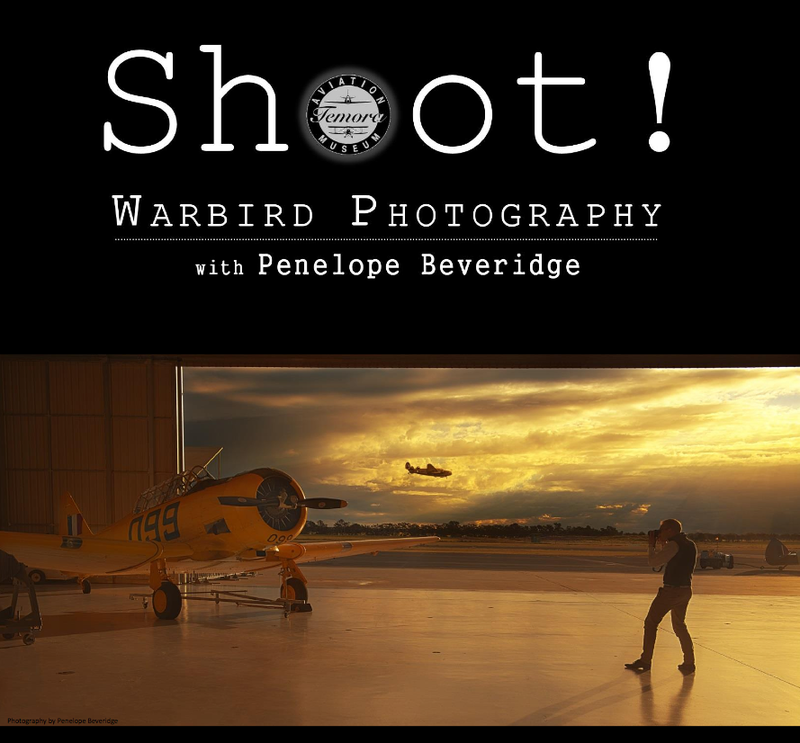 is a unique warbird photography workshop designed for photographers of all abilities. Whether you are a hobbyist, student, emerging or professional photographer, SHOOT! 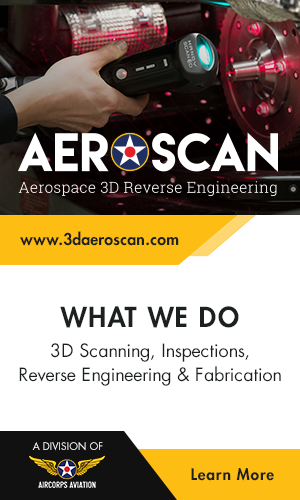 provides an opportunity to capture stunning images from exclusive vantage points and advance your technical ability. Hosted at the Temora Aviation Museum in Temora, New South Wales, SHOOT! will train photographers in the best techniques for aviation photography. 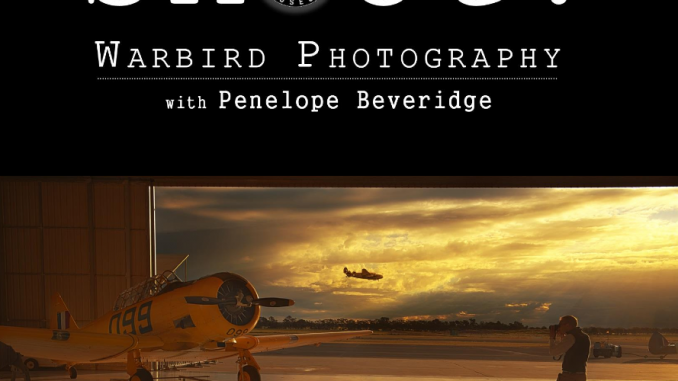 Using a selection of the museum’s finest warbirds, you will receive hands-on tuition from internationally acclaimed photographer, Penelope Beveridge. 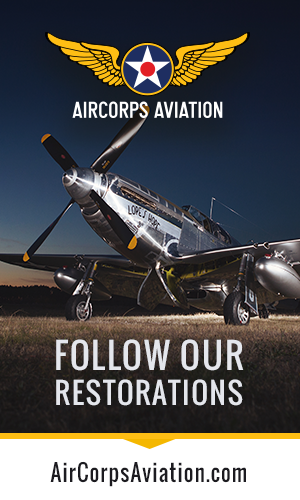 This intensive three day course will provide access to a range of warbirds in special locations and lighting conditions, allowing you opportunities to perfect your air show photography skills. You will learn the best techniques for shooting aircraft both in the air and on ground, adjusting camera controls, correct lens selection and handling, positioning to capture the entire aircraft, working with natural and artificial lighting, selecting the best camera modes, using filters and polarizers for the sky, capturing wake, camera control for fast-moving subjects, handling bright backgrounds, dealing with movement, propeller blur, ISO and capture formats… plus much more!